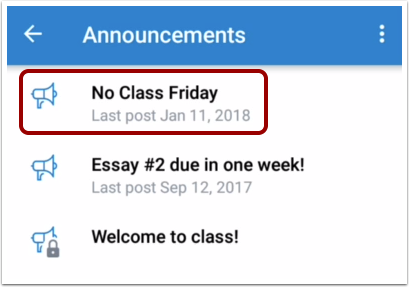 How do I reply to an announcement on the Student app on my Android device? 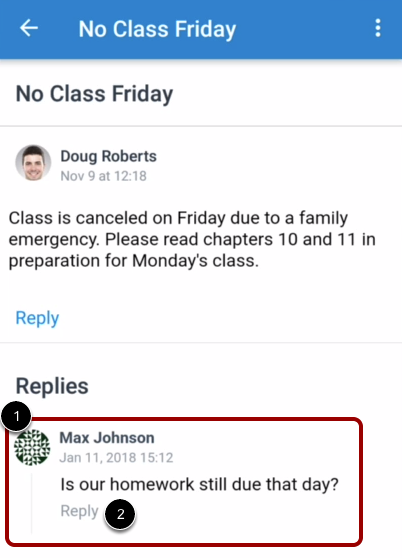 You can reply to announcements and announcement replies through your course. You can also reply to announcements through the Notifications tab. Note: If you cannot reply to an announcement, this feature has been disabled. Tap the announcement where you want to reply. 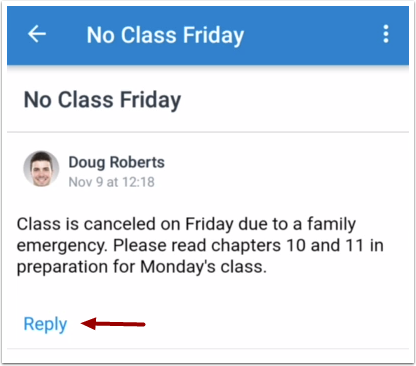 Enter your message in the text field . 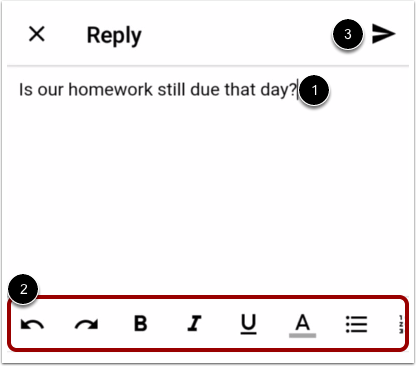 Use the Rich Content Editor to format your reply . To send the reply, tap the Send icon . View your reply . To reply to an announcement reply, tap the Reply link for that reply . 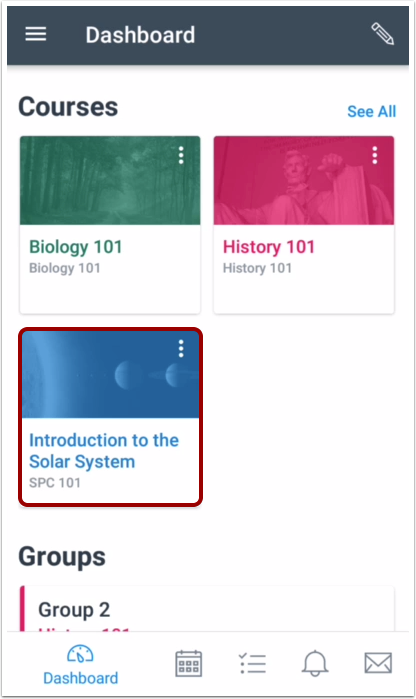 Previous Topic:How do I view Courses and Groups in the Student app on my Android device? 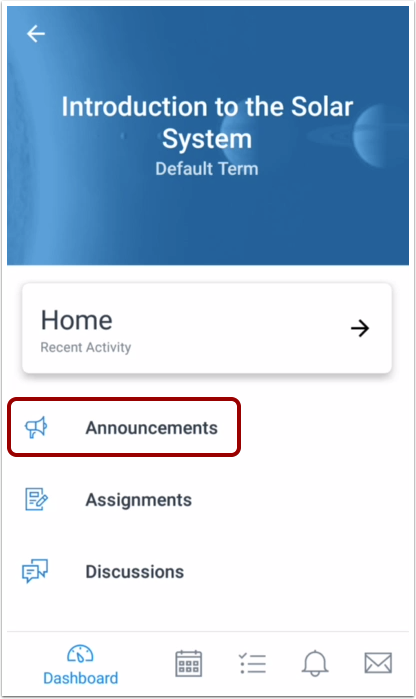 Next Topic:How do I view Announcements in the Student app on my Android device? Table of Contents > Course Features > How do I reply to an announcement on the Student app on my Android device?